Čak do 24 rate bez kamata: 42.55 kn mjesečno! 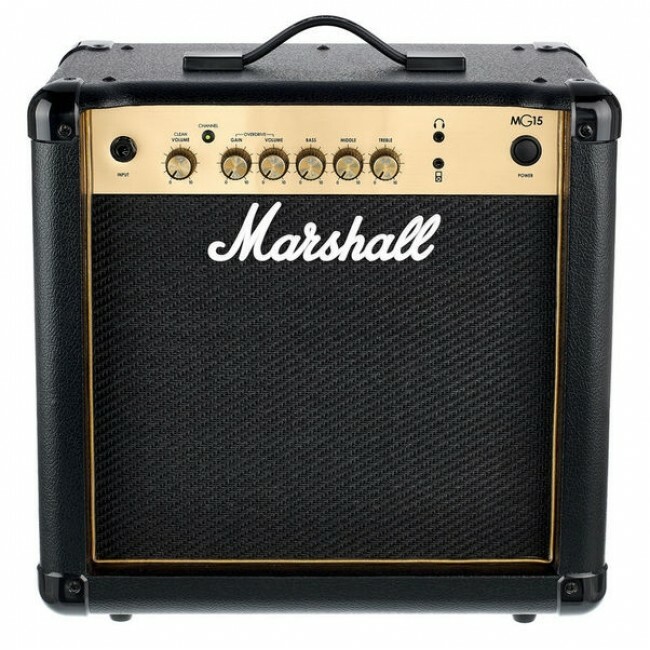 The MG15G combines Marshall’s famous solid-state tonal circuitry with modern digital FX. Choose from, Chorus, Phaser, Flanger, Delay (tap-tempo) and Octave (fixed). There are two channels, Clean, Crunch, OD1 and OD2, which when in Manual mode operate like any ‘normal’ amp. When in Preset mode, whatever settings you dial-in can be stored, so that when you switch to that channel, your settings will be recalled. 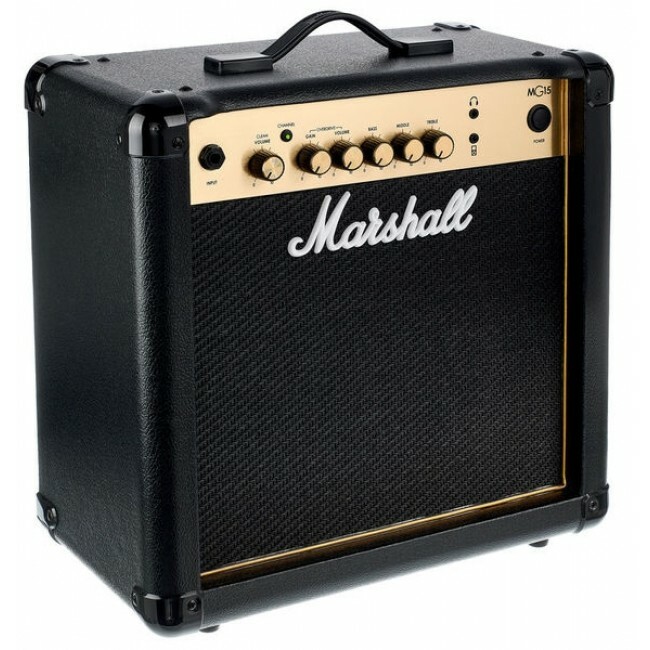 The MG15G is 15 Watts and is loaded with an 8” Custom speaker.